Sh. 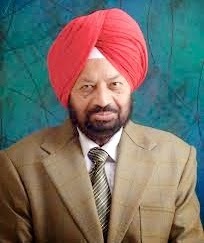 Joginder Singh, IPS (Rtd.) Former Director of CBI, still in association with many government and non – government bodies and is also an active social citizen. Sir, we are pleased that you have spared your precious time for us. First of all we would like to know about your academic life? I am absolutely ordinary person who never went to public school, I have studied in government primary, secondary, high school and later also in government college and then at the age of 20 years, I appeared for IPS and cracked in the first chance. As a student, my master’s result came later on. I got second class in 10th standard, that is, only once in my career. I would share with you one biggest problem that a student faces is discouragement not only from his teachers but also from his friends and colleagues. They always try to pull down the leg of students. Students should answer this showing them the achievement without contradicting anybody. Students should keep on working every minute of their life. These days students have so much of convenience. We never had mobile phones; we only had Doordarshan as a television channel. I realised very long ago that life is “trade off”. “You have to trade off the instant gratification for long term gains”. I believe that enjoying with friends and studying; these two things don’t go together. So every minute of your life should be spent on the current pursuit. I was not that good speaker initially but when I met a guy in IPS I asked him, “you are a good speaker, how did you do that?” He told me to practice by standing in front of the mirror, watch English news. I said wonderful. That person helped me so much so that I became top speaker in Punjab University. I represented Punjab University in several youth festivals. In 1959, I filled my IPS form and we have to mention the state where we want to stay. I was put in Mysore which is now Bangalore. I had many hardships in my life. My father was landlord and till Green Revolution, income from land was so meagre that he could afford to send me only Rs 125. Per month. We have to work hard and prepare ourselves because there are no free lunches in the life. I have written 55 books most of them that is 50 after retirement. I don’t waste time. You have opted practical approaches in your life. How have you started your career in Indian Police service? You can make a mark in any part of your life. Birth is not our chance, death is not our chance but how we use our time between birth and death is our chance. You have to adopt changes with the time. Co-existence is equally important, respect for elders is also equally important. Whatever you are doing, do it with best integrity. There should not be any compromise. I joined Indian Police Service and I was sent to Karnataka where I was Assistant Superintendent of Police. I also faced many hardships during ASP training at Bijapur that was one of the most backward area with no electricity. So, what all challenges have you faced to survive in such complexities? Yes, undoubtedly those were the some challenging places and jobs too, that was an area which had big part of Nizams in Hyderabad. I dismissed number of people for misbehaving with public. There were so many complaints against me that I am harsh and heartless and also that I am inhuman. I said that victims also have a heart and they also deserve to be treated fairly. Somebody died and I fought with my boss at that time, there was no question of keeping quiet. But still I don’t want to call them challenges. I did nothing illegal. I dealt with fodder scam in Bihar and PM praised me for doing a good job. In fodder scam, when CM of Bihar was abused; he said “I will give you everything in writing, save us and save your job too”. I replied that I don’t care. Further, he said, “choose any job as Governor or Ambassador after retirement”. I refused and said that government has given me everything. My faith was further strengthened after reading Bhagvad Gita. I recommend everybody to read it. What motivated you to join CBI. As an IPS officer one cannot say no, we commit to serve anywhere in the country where the government wants and this is what the IPS officer is expected to do. I was also Director of Ministry of Commerce and Foreign Trade, DIG at Narcotics Control Bureau, SP in CRPF and at other government posts. 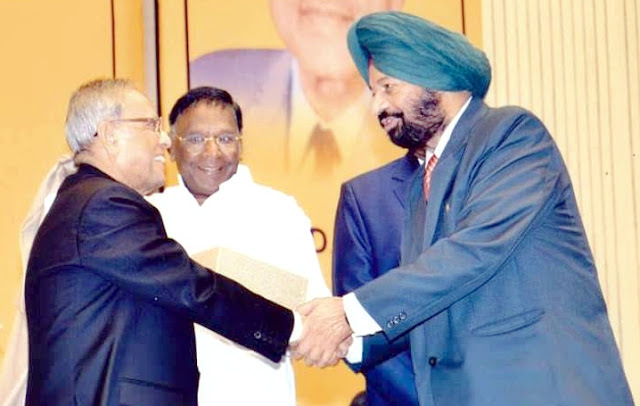 In your tenure of directorship, what are the two cases which have been eye openers for society? I was the only person who set the new tradition in charge sheeting MPs / Ministers. Nobody had the guts to check an MP or ministers. Somebody said “you are very smart”; I replied “it doesn’t matter, one day it will be good enough for me”. I told Prime Ministers that there was a difference in the nine and eleven discreation and I will go to that level but if you say nine to hundred that will not be done. There are so many cases and so many things and so many people that I have written about in my books and some of them are Chief Ministers now. They cut away from me because I stood against them. Once a minister said, “why you are calling so and so?” I said, “tell the Prime Minster to give me a letter about whom should I call and whom should I not”. I straight away said, “If I am working for government that means I am working for PM”. CBI has motto, “industry, impartiality, integrity”. Do you think that it is resuming its responsibilities in the same direction? No, there is no question of resuming its responsibilities in the same direction. Government distinguishes its employees on the basis of cast. In fact in order to initiate action against any bureaucrat, CBI needs government’s permission. Supreme Court has to say that CBI don’t need government’s permission for questioning anyone in any case. On the other hand, a Secretary was not allowed to come in front of CBI even after his retirement. The government has way of dangling gadgets in front of you. They will give you a job for one, two, three or five years depending on what serves them. There is no point compromising your integrity. In 1857, the Police Commission consisted of three Englishmen; they recommended that police should be independent like judiciary. Whatever changes were made in 1861, CBI is still following those rules till date. Supreme Court on 22 September, 2006 has suggested to fix these rules in this era. What is your opinion regarding making CBI “autonomous”? As I said CBI has been following the rules and regulations that were formulated during 1861, so therefore changes are required in the structure to meet the demands of this era. I wish CBI should be as autonomous as our Election Commission is. Being resident of Dwarka, what changes you think are required in the locality? I think that being the citizen, we should be responsible ourselves and, we should bring changes within us. Moreover, we should emphasize on the good infrastructure. Government has spent a lot on Commonwealth games but when I see the condition of roads I get depressed. At the end would you like to give any message to our students? Ans – You have to make your own destiny and at the same time you have to take care of your health. Fitness doesn’t come in the bottle of medicine, you have to cultivate your habits. One should spend some time in doing physical exercise as a part of daily routine. Communication is another important thing that students must understand. There should be effective communication. They should be able to convey their feelings effectively. I must quote Shakespeare “assume a virtue if you have not”.